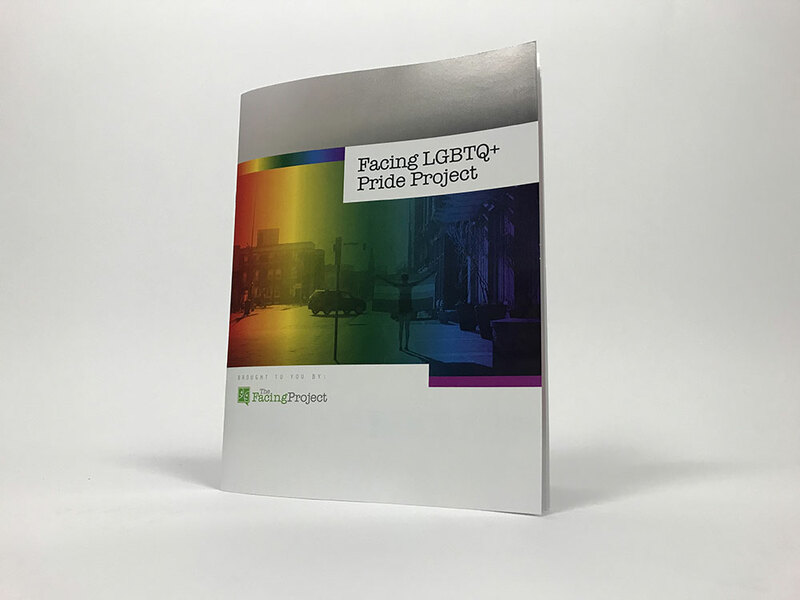 Once again, our friends at The Facing Project asked us to create the take-home piece for their most recent project, Facing LGBTQ+ Pride. We’ve worked with the Facing Project on several other projects, including Facing Autism, Mentoring in Muncie, Facing Addiction, and A Midsummer Night’s Narrative, and Facing Teaching. Twenty-three stories celebrating the lives of local LGBTQ residents and their allies were brought to life by actors, including our very own Angie Rogers-Howell and Amy Leffingwell, on June 30th at Cornerstone Center for the Arts.